Ballot results from military lodging facilities in the Turkish capital of Ankara demonstrate that members of the military are overwhelmingly in favor of main opposition Republican People’s Party (CHP) candidate Muharrem İnce and his party during last month’s parliamentary and presidential elections, secular Cumhuriyet daily reported. İnce received 65 percent support while his party garnered 47 percent support from members of military, the daily said, which is more than double the support they received from the Turkish electorate in last months polls. Turkish President Recep Tayyip Erdoğan held on to power with a first-round victory in last month’s presidential elections, while his Justice and Development Party (AKP) retained control of parliament with 42 percent of the vote – albeit thanks to its alliance with the far-right Nationalist Movement Party (MHP). 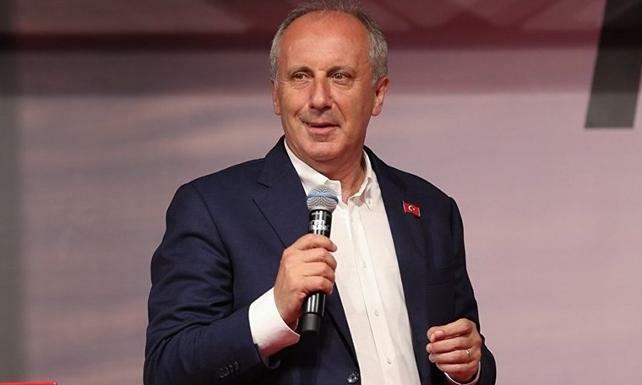 CHP candidate İnce came in second place with 30.64 percent support while the party hovered at 22.65 percent. The results however, demonstrate that CHP saw a decrease in support from the military as compared to the previous parliamentary elections, losing votes to newly-formed center-right Good (İYİ) Party, under the leadership of Meral Akşener. Good party received 25 percent support from members of the military as compared to 9.96 percent it received from the general Turkish electorate.